The first and most important thing that centers around all of your savings at CVS is the CVS ExtraCare card. You can apply for one here or get one instantly in-store. When you check-out at the register, this is the first thing the Cashier will scan, even before your groceries. Many of the sale prices on groceries are tied to this card, and you will not receive the sale prices without it. I suggest you apply online, because you still need to register it online for even greater savings, as you will see below. You can only have one card, but family members can also have a card! My spouse and I both have a card. Use this to your benefit if you shop together, but keep your transactions separate, or you’ll get screwed up at the register. Print a copy of CVS' Coupon Policy to take with you when shopping at the store. Every time you make a purchase either online or in-store and use your ExtraCare card or card number, you’ll earn ExtraCare customer rewards or ExtraBucks. Earn 2% back with every purchase in-store and online. Earn 1 Extra Buck for every 2 prescriptions purchased in-store and online. Every 3 months your ExtraBucks will print at the bottom of your store register receipt, or you can print it online. 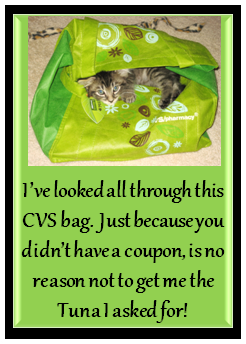 Then spend your ExtraBucks CVS coupons in-store or online before they expire. This is a large red standalone scanner machine that is usually near the front of the store. The first thing you should do every time you walk into the CVS store is to walk up to the CVS Coupon Center scanner and scan your CVS ExtraCare card as many times as it will allow (usually 2 or 3 times). It will print CVS in store coupons! Check these coupons to see if you can combine them with anything that you’re purchasing during this shopping trip. 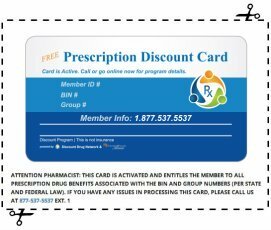 Even if you can't, remember, since they’re Store coupons, they can be combined with Manufacturer’s coupons and you can use them during later trips and stack them with manufacturer's coupons. Best of all, approximately once per month, CVS in store coupons will be good for a free product. They will inform you of this freebie in their weekly circular. Limit 1 per household with card. You will receive a CVS coupon at the bottom of your receipt for $1.99, which is like CASH to be used toward future purchases, thereby making this item FREE. Limit 2 per household with card. You have two $1.00 off Manufacturer coupons for Crest Pro-Health toothpaste, so you purchase 2 of these, and it’s a .02 cents moneymaker! You will receive a CVS coupon at the bottom of your receipt for $4.00, which is like CASH to be used toward future purchases. Makes this transaction a $3.14 moneymaker! Continue to roll your ECBs (spend the ECBs from the previous week to pay for the next weeks purchases and so on) from week-to-week and you’re barely coming out-of-pocket with any more money. Note: ECBs cannot be used for alcohol, tobacco, prescriptions and some similar products. Checkout 51 App works on computer or smartphone at any store! Snap by Groupon App works on computer or smartphone at any store! ibotta app works on your smartphone or tablet! CellFire eCoupons load to your Grocery Store Loyalty Cards. You’ll periodically receive coupons and coupon codes for 10% to 25% off Everything (excluding Sale Items). They’ll send you weekly offers (usually on Thursdays) for things like $4 off a purchase of $20 or more (4 off 20), or $5 off a purchase of $25 or more (good for 4 or 5 days). They send you online discount offers good for 20% off all CVS brand products. They will send you a Gift or coupon (I received a $3.00 one) on your Birthday to spend on whatever you want. These eGift Cards are usually offered in November and sometimes at other times during the year. They are paper Gift Cards that you can purchase online in increments of $25.00, and for each $25.00 you spend, you receive an additional $5.00 for FREE! I load up on these when they’re offered. This way, if you don’t need to use all of your ExtraCare Bucks for that transaction, you can use them later for another transaction. CVS also gives Rainchecks, even for items that they issue ECBs for.